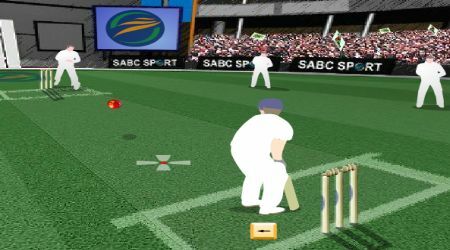 The ball will be bowled at different speeds, lengths, and positions. You must decide fast which batting stroke you are going to use. An indicator will show up to give you a hint on what stroke to use. Choose the batting stroke by pressing one of the arrow keys. You can add more power to your swing by pressing the shift key, but this will make you less accurate.